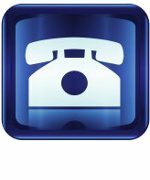 "International Calls at Local Rates"
This plan lets your business call worldwide at local rates. Call rates begin at Rs0.50/minute. This tariff can be used as a trunk with virtually unlimited channels, as well as be used on customer provided software or hardware such as an IP PBX. This tariff can be used on any SIP device, including one provided by customer such as IP PBX. Multiple channel option available at no extra charge. 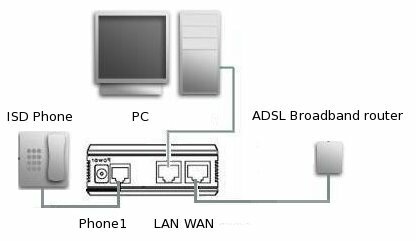 Optional hardware provided for connection to Non-IP PBX. Dont have a PBX, or want another one for International calls? Click here. Easy-to-start, no risk package with 3 month buyback period. Priority calls are charged at the next higher slab. When you make a call, your callerID will be set to a number from the country called where possible. The person you have called can then call you back by dialing that number. It will first try your box, and if that fails dial any mobile or landline number you put in your online console under PSTN forwarding. For such calls you will be charged only for forwarded calls at standard rates. You can use this feature to allow your near and dear ones to call you cheaply, or to reduce your cost to call high priced destinations. The number he calls you on is permanent. You have to dial a phone just once for the called party to be able to call you back for life from that phone! Unused callerIDs will however be deleted after 6 months to a year. Not able to get through? Try our priority call barge by adding another zero before the number. Priority calls are charged at the next higher slab. i.e. if the call would normally cost Rs4.89, it will now cost Rs6.89. When in a call, flash your phone, you will get a dial tone again. Dial #512# and then the number of the third party. After third party answers, flash your phone again to conference all 3 callers. Feature available on our standard devices. This service is useful for those that regularly make International conference calls involving 4 - 50 people. The conference can be operator dialed or by participant dialin into our many access numbers across the world. To begin conference dial 123 using our VoIP service to setup a conference. Conference room number is 9 followed by your UID. To start calling participants press '0'. You will be prompted to enter the number you wish to call. Dial the number and after the call is answered press '0' to add the person to conference, or '*' to disconnect and go back to conference. Repeat above step for each person you want to add to conference. Participants can also join the conference by dialing our calling service access numbers. When prompted to 'dial number you wish to call' enter userid with a prefix 9 (like 91555000024) followed by PIN if set. The person who initiates the conference can leave anytime and can rejoin by dialing 123. He can get the admin menu by pressing '*'.